March 25 is Diabetes Alert Day, which is dedicated to raising awareness of type 2 diabetes, its risk factors and its prevention. 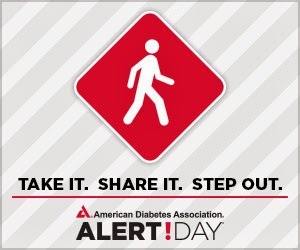 In observance of Diabetes Alert Day, the National Diabetes Education Program (NDEP) is encouraging people to take the Diabetes Risk Test and know their risk for type 2 diabetes. If left undiagnosed or untreated, diabetes can lead to serious health problems including heart disease, stroke, blindness, kidney disease, amputation, and even death. Encourage people to take the Diabetes Risk Test– available in English and Spanish – to know their risk for type 2 diabetes.